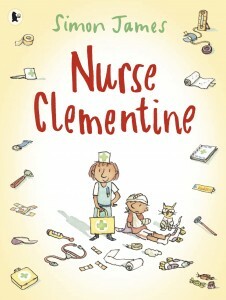 Simon has been working on the new paperback version of Nurse Clementine, which is due out early next year. When he saw the hardback cover from his Japanese publishers, he liked it so much, he decided to use the same design for the U.K. paperback edition. Nurse Clementine will be available in the early spring 2014.